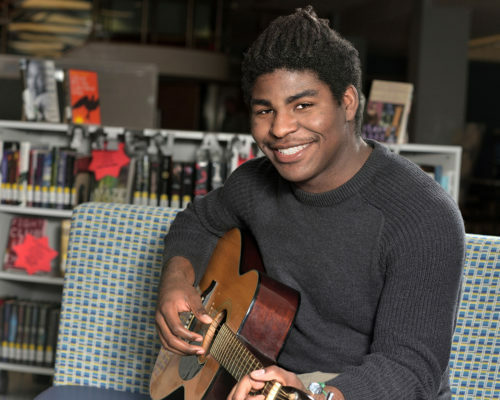 On any given day at Richard Bland College of William & Mary, Simon Kotto can be found strumming his guitar. It’s a welcome diversion for the talented honor student from studying math and physics or learning a new language. Kotto’s family settled in Richmond after moving to Virginia from his native Cameroon. He is a Promise Scholar and member of the RBC’s Bridge Program that enables students to take classes at William & Mary. The experience has prepared him to transfer to his dream school following graduation in May. Kotto is academically inquisitive and last summer attended an eight-week neuroscience research program at Harvard University. 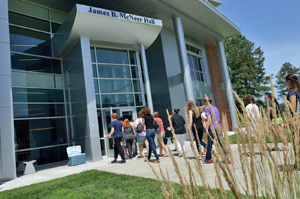 Outside of the classroom, he is involved with many organizations, particularly the International Club that he spearheads. Kotto’s enriching academic experiences and the sense of community on campus are the two biggest things he cherishes about being an RBC student.